A true Southern boy, Henry was born in Savannah, raised in North Carolina, grew up in Charleston, and completed his Bachelor’s degree in biology from the University of North Carolina at Pembroke. His fondness for the sport of kayaking was fueled by a trip to Patagonia under the National Outdoor Leadership School (NOLS), and has since traveled across the country, exploring in the great national parks and forests. Henry is the operations manager at Coastal Expeditions, coordinating all of the moving parts so that everything runs smoothly each day. FAVORITE COASTAL EXPEDITIONS TOUR TO LEAD: A Sunrise Kayak Tour on Folly Creek, especially if coincides with a full moon. You get to see the moon on one side of you while the sun rises on the other side. 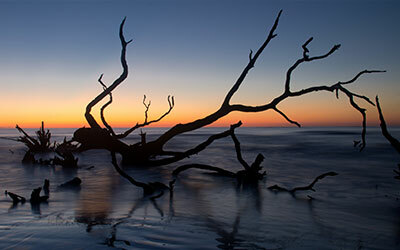 It’s one of the coolest natural phenomenons you can see out at Folly. 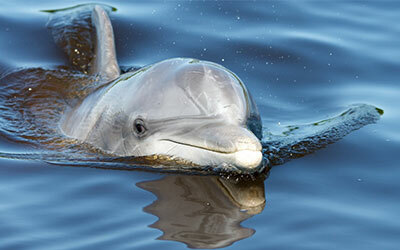 But also you get to experience the lowlight sensations like hearing dolphins breathe at that early morning hour. And everyone loves that the tour ends early enough for them to still have their day and eat breakfast at Lost Dog Cafe. FAVORITE ANIMAL TO SEE ON TOUR: Out at Folly Outpost, the Bottlenose Dolphins are full-time residents in the creek and great to see; There are just so many of them. And I love the Black Skimmers quite a bit. On tour, its always fun to witness Bonnethead Sharks feeding along the edges of the creeks in the summer. It’s rare to see them compared with the mammalian air-breathers so its exciting to see them. 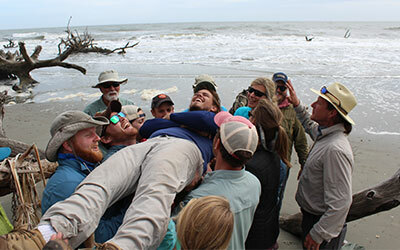 WHY DO YOU LIKE WORKING AT COASTAL EXPEDITIONS? After high school graduation, following my expedition to Patagonia, I started working for Coastal Expeditions. 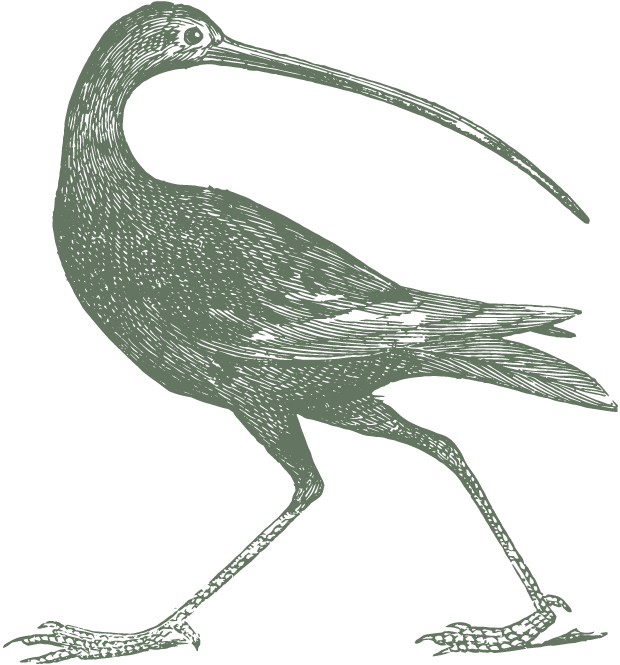 And after I finished college, I came back to Coastal Expeditions and picked up where I left off. Honestly, when I think about the kind of job I would want when I retire, this is what I imagine. This is the kind of life I would want to have if I didn’t have to work. I always get to see new things, its always changing. I get to take people out there and I have a 3-hour window to get them to fall in love with an area. One of the coolest things is when they get off the water and they really feel it.